As always everyone is welcomed to join in the commentary BUT with the probable late start we ask those that might view the show before said time, 8:00 ET with delay, to please do not drop hints or post the results until we all are done viewing. We like spoilers yeah but we enjoy watching the show together as well. Anyone hinting or posting results or tidbits will be banned for a week! I want to enjoy the show please, not babysit. for this week, taken from the ratings thread .. thanks to Ken! Next week, we'll have another overrun which will help especially if North Carolina, an NCAA Tournament brand name, is in the late game. Ratings will go up if 1) the game is close and 2) 60 Minutes has another blockbuster night like it has for the last two weeks (Federal Charman Bernanke and President Obama). LeBron James is the blockbuster interview tonight on 60 Minutes. Tip time for the late game is scheduled for 5:05 p.m. Should not move unless the early game involving Louisville/Michigan State goes into multiple OT's. Well I am here to watch today! Yayayaya!!! If the late game ends late, then I'll have to ask my Mom to tape Celebrity Apprentice as I don't want to miss that show but I want to see The Amazing Race more. I'll let you know what the official start time will be. I suspect it will be in the 8:15 - 8:20 p.m. range. Michigan State-Louisville ended on time. It's up to North Carolina and Oklahoma now. Tip time slated for 5:05 p.m. as stated. I know that the second half last week dragged on, but this week the halftime will be over soon at 510pm. 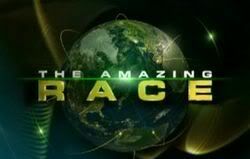 I fearlessly estimate a 710pm start for 60 Minutes and a 810pm start for the Amazing Race. Don't forget the 10 minutes of dragging out after the game is over, ap. There will be the announcement of the Final Four tip times, the Pontiac Gamechanger, the Chevrolet Players of the Game, plus about seven minutes of commercials. My estimate holds. Not this week. There are only 2 other teams in this and they were analyzed yesterday. 3:30 to go and North Carolina up by 12 means there will be no overtime. Play has resume at 700pm, so they should finish around 710pm. Then it is a quesiton of how much crap CBS want s to through at us. It should not be 10 minutes. CBS has to pay the rent. 7:15 p.m.
Ok, what did I tell you, ap? 8:15 - 8:20 p.m. range. 60 Minutes will start at 7:17 p.m. I know these things. Bow down to me! This has become the routine around here huh? The NCAA delays or TARAsia/Ken flirting? Chateau!! You might as well stick around, this IS where the fun is!! I just want to see how badly I made my time estimates. Phil: Seven teams raced from Novosibirsk to Jaipur, India. Mel's keen awareness pushed him ahead at the Roadblock. Tammy/Vic danced through the leg with ease, which led to another 1st place finish. Starting in last, the flight attendants faced an uphill battle. Jodi powered through the Roadblock, while the Mark/Michael labored at the Detour. In a tight race to the mat, Christie/Jodie came up short and were eliminated. Tonight, the heat takes its toll on Margie.